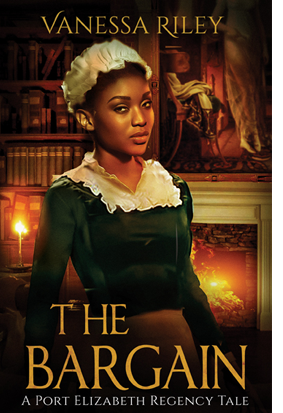 Winning in the courts, vanquishing England's foes on the battlefield, Barrington Norton has used these winner-take-all rules to script his life, but is London's most distinguished mulatto barrister prepared to win the ultimate fight, restoring his wife's love? Amora Norton is running out of time. The shadows in her Egyptian mind, which threaten her sanity and alienate Barrington's love, have returned. How many others will die if she can't piece together her shattered memories? Can she trust that Barrington's new found care is about saving their marriage rather than winning the trial of the century? Barrington Norton has always despised lies and has formed his life upon a foundation of truth. Yet, discovering the truth of Amora's past sends him to the breaking point. How can he ever make amends for not believing her? Will she ever love him as she once did? Amora Norton is tired, tired of fighting for her marriage and her sanity. Now that she understands how fleeting Barrington's love is, she wants none of it. It may be better off being alone than living with pity. Having lost all, can she find herself? Nonetheless, a serial abductor is at large, awakening to existence of the one that got away. Only a united couple can put an end to his reign of terror. 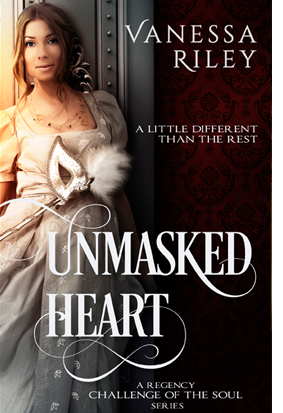 This is the second Regency Romance of four. Barrington Norton has always made the right decisions but desperation, lies, and unexpected truths make things go terribly wrong. 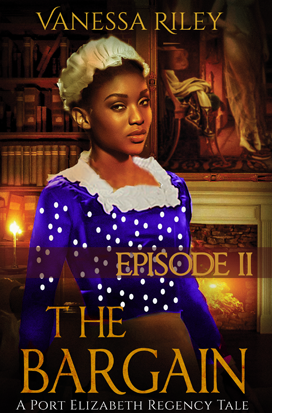 Can London's top mulatto barrister save Amora, himself, and their loved ones from ruin? Amora Norton has come to terms with her abduction and forgiven her Egyptian mother of betrayal, but hasn't the strength to do the same for Barrington or God. Can finding a lost friend and discovering an unexpected blessing be enough to make her whole? Yet, all Barrington's and Amora's efforts to solve these brutal crimes of abduction maybe for naught. For a divided couple is the perfect prey for a criminal needing sins wiped away. A love divided and loyalties questioned will lead to an innocent man's hanging if our intrepid couple cannot forgive the past. Will Amora and Barrington risk all for justice to prevail? Will a serial abductor win the ultimate victory, the taking if his favorite victim? Barrington Norton loathed Newgate prison. The caustic smells, the cackles of the men driven mad awaiting release, the curses of the one's sentenced to die, many of whom he'd condemned  all churned his innards. He popped off his top hat and fanned his face. Thinking and rethinking this visit twisted his resolve, tearing through his flesh like hot lead shots. Perhaps he should've headed home to his wife's fretful arms. Hating indecision, he donned his hat again and climbed out of his carriage. He couldn't in good conscience forgo the opportunity to save an innocent life. He shuttled toward the prison, away from his man-of-all-work. Good old James would slow him down offering wretched cockney wisdom. It was good to laugh. This just wasn't one of those days. Delay could antagonize Amora, shifting her into another of her strange moods, shooting a hole into all the good work he'd done these past months. He'd been on schedule, sent notes over the slightest changes. She seemed more at ease, more tolerant of his court work. That had to be good, even if he felt leashed. The gaoler opened the massive door. "Barrister, what brings you here? Court finished hours ago. We're setting up the Debtor's Platform for tomorrow. Coming early for a good seat?" "No. Spectators at an execution is reprehensible. Death is not a game for sport. I'm here to see Smith. Take me to him." With a raised brow, the gaoler frowned then turned toward the long hall leading to the bowels of the prison. "This way, Mr. Norton. Smith's not on the list for tomorrow's ropes. Curious, ye wanting to see him." Barrington followed. The sour scent of urine hit him, reminding him of years long past. Bad years. He pulled a cloth from his pocket and wiped his face, savoring the hint of lavender. Amora's fragrance. A symbol of their blooming love, of easier days. Married for five years, engaged for three, things weren't the same as the day he spied her painting in the Tomàs Orchards. He wasn't the same either, changed by war and the positioning of London politics. The gaoler stopped and unlocked an iron door. He stepped in front of Barrington. "Smith's in here. Mighty funny, ye trying to save the man ye convicted. Is that fickleness a custom for you people?" Barrington glared at the man. He made his tone tight, a notch below menacing. "What do you mean my people? Did you mean mulattos or barristers?" I ugh, meant no disrespect. Barristers." Barrington stepped around the gaoler. "Yes, that's what we barristers for the crown do. We fight for truth." The fellow didn't retort with a more open slur. He shrugged and closed the cell behind Barrington as he went inside. Smith lay on a small cot. He jerked up and raised his fists, storming towards Barrington. "Came to gloat?" The words he'd struggled over still hadn't materialized. He coughed and stuffed the handkerchief back into his pocket. "What do you want, barrister?" He lunged closer and shook his knuckles near Barrington's face. "Get out of here, you half-breed, before I darken your daylights." Barrington didn't move, staring, daring him to strike. Every muscle strained, pulling tight, tight, tighter, burning all the way to the missing bullet in his hip. "You let yourself be convicted for coining. You let the runners charge you with counterfeiting money. You let the sentence fall, started to dispute it, then stopped. I need to know why you chose to die." Smith lowered his hand. His jowls dropped. His eyes drifted to the left. Barrington knew that regret-filled look. It shoved his gut from hot indignation to sweet winning. He hovered over Smith using his height to crowd and corner him against the block wall. "They're building the hanging platform for the morning's executions. Hear the hammering. Pound. Pound. P-OU-ND." He mimicked the sound again, exaggerating the echo, as if it were Justice Burn's gavel knocking against his desk. "Your name is not on the list this time, but it will be in a month. Tell me what you are hiding, and I'll get the sentence re-examined. I am your one chance to live." Smith pushed past him and sank onto the mattress. "I have friends. They're going to help me, not the man who put me here." "Unless these friends come forward and confess, you will die. Die with the truth. Whoever made you look guilty will die laughing." "You and your smooth words. They will save me? You're dressed for a fancy party, barrister. Take your top hat and go." Slam. A board or the platform's trap door must've fallen outside. It might as well have been the bailiff shutting up the doors to the Old Bailey. Barrington lost the argument. He turned and almost pressed upon the cell bars. Instead, he fished in his pocket and dropped onto a rickety table a couple of leaves of a Psalm, pages taken from the Bible he took to war. "If you don't trust my words, here's something that can save you. If you change your mind, send for me. I'll come." This visit was hopeless. A waste of precious time, time meant for Amora. He knocked on the bars to be let out. There wasn't a blasted thing Barrington could do. An innocent man was going to hang. Amora Norton waited for the servants to clear her dinner setting as she sat next to her husband in the grand ballroom of Lord and Lady Cheshire. The soft strain of the violin's concerto caressed her ear as nineteen men with poufy powdered wigs and shiny blue liveries made the plates laced with garlicky fish remnants disappear. Tonight, no shaking dread, no shivers of isolation seized her lungs, just a small swish of joy swirled at her middle. The pressure that pricked her high in the stomach eased when she shifted to the left against the dark stiles of her chair. Still not quite pain free, she pushed back in her dinner chair only to have its scrolled feet squeal and announce her restlessness. Her husband continued his conversation with the gentleman on the other side of the crisp white tablecloth. Thank goodness he hadn't noticed the noise. Disappointing Barrington would ruin everything. He'd been late to arrive at Mayfair, their London residence, but still wished to drag her to this ball. A deep frown marred his face. The stewing in his grey eyes whispered he needed care. Shed give him that, and more. This proud man was her world, her anchor in shadow-filled London. So Amora didn't question him. She made him his favorite tea, wore his favorite bland dress. By the last course, the smelly fish, his mood had lifted. The sultry tone of the songstress, Cynthia Miller, floated in the air, the lyrics haunting, soulful, man-snaring. She must be exhibiting to catch some new lover as she'd done for the beaus in their small Clanville village. Wanting to pinch herself for dwelling on the tart and not her husband's tall form, she blinked and looked up at Barrington. "Yes?" Her breath stopped, then curled in her throat. "Yes, Barrington." "You are so beautiful, Mrs. Norton." Shyly-smiling, she caught his gaze, counted the slow rises of his chest. Could he see how hard she'd worked to be pleasing? "I want to be for you." Like a slow, distant wave, the chairs were pushed away from the tables. A set formed. Would they dance? Usually he'd go politic or leave Amora for time with his patroness. "Do you think the floor is chalked? Can you see over the crowd?" "My dear, what if we find out? Do you feel well enough to dance?" Her pulse ticked to the timing of the violins. She came to his side savoring the crisp smell of his bergamot soap. The scent hung about his broad shoulders, wrapping him with appeal that stole everything -- good-sense, decorum, and the desire to stay at this ball. The lenses of his spectacles reflected the tall candelabras brightening the room. He tugged on his gloves. "Good, I wish to dance with the loveliest woman here." Her cheeks heated. "After all this time, you still make me blush as if I wore pigtails." She wished she'd stayed a hope-filled girl, not jaded, or tormented, or fear-laden. Barrington cleared his face of wanting, that caress until dawn heat in his gaze. He must have remembered they were in a public place and reigned in his passions. She winced, put her hand to her stomach, then told herself it was nothing. A man had no time for a sick wife. He definitely wouldn't share a bed with one. And she needed him to be with her, distracting and holding her. The nightmares had returned. "Gloves?" Oh, the boring beige things. Twisting her naked fingers, she pivoted and searched her seat. They were missing. "They were here, Barrington." The young servant who had attended her came from the edges holding the fallen mitts. "Here, ma'am." The young man, blonde with pretty eyes of airy azure helped her tug on the satin, one after the other. With that hair, the servant could be a grown-up version of the little miracle, the orphan she'd read to this morning at the Foundling Hospital. "Ma'am, is there anything else you need?" "No, but thank you." Before she could pivot to her husband, the poor boy coughed and swallowed hard. 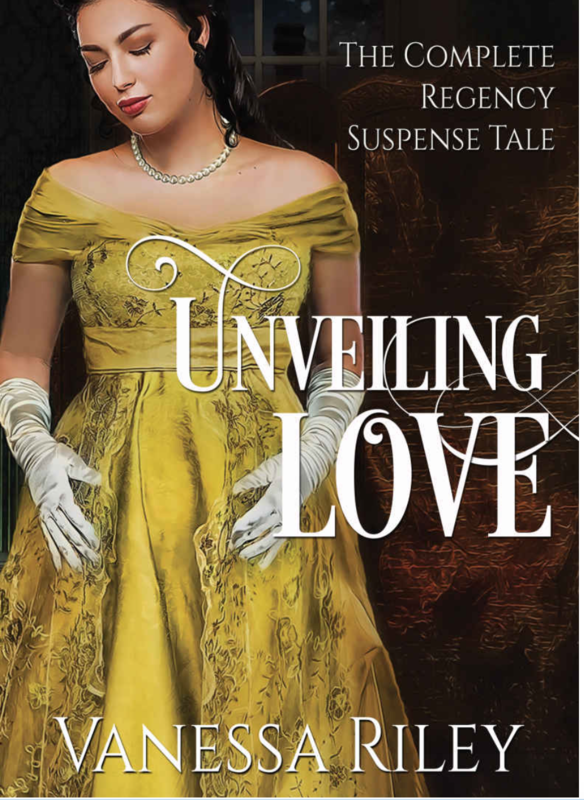 Amora's heart melted as she observed the creases under his young eyes. He looked so tired. Working at these long balls required so much, and an event for the Duke of Cheshire introducing his new duchess, must consume even more. Called to that need, Amora put her hand to her half-filled water goblet and started to lift it to the servant, but Barrington claimed Amora's elbow. "Now, we are ready for a proper dance." Proper. Barrington's need to be above reproach. The desire to help slipped away in a useless sigh. "Of course." She was here for Barrington, not to make a spectacle of herself acting out of station. What she wanted didn't matter anymore, never mattered, so she acquiesced to his gentle pull. He led her to the center of the room and twirled her in the first motion of the reel. Her husband looked handsome in his dark silken waistcoat with jingly silver buttons. The onyx jacket and pure white cravat covered his strong form. His gaze met hers, not looking over her head to find someone to ramble on about trials. But, this would end. It always ended, and she would be alone. The set parted. His fingers stayed and lightly brushed her abdomen. His voice kissed her ear. He bent his tall frame closer. "Want some air?" No, she wanted to leave and abandon the ball before something or someone stole his attention. Yet, a niggle of guilt swirled in her innards alongside his babe. I should do more in public to benefit his career. He so loved his career. Borrowing some resiliency from the Egyptian kings within her bloodline, she reached for his cheek. "The Dowager Clanville is seated near the entrance. Go speak with your patroness. Her attention upon you will do more than mine. I've had you all evening." His chin lifted then lowered as his nose wriggled beneath his silver frames. "I'll let her rakish son keep her company. Only you tonight." Did he mean it? Her heart beat again, tapping faster and louder as his words penetrated her mind. "For me, it's always been you." He dimpled. "Then to the balcony before Mr. Charleton presses this way and insists upon a dance." Her husband was so fine-looking with his jet colored hair lightly winged with gray, his swarthy brown skin. Built to be a warrior, he fought for justice with everything in his soul. Yet, that zeal seemed to blind him to other's faults and many times his own worth. "You needn't be concerned of any other." "Well, I have a wide jealous streak and a boring road cut down my middle. And you've been so wonderful, Amora, never flirting or entertaining rakes, even whilst I was away three years at war." If tonight and every day forward, he used that strength to protect their marriage, to protect her and this baby, maybe her joy might be full again. The smile forming his lips could be no better than one of his kisses. His hand brushed the tiny swell of her abdomen as he steered her through the mob. Three months of carrying his babe had changed things between them, in so many good ways. Knowing where Barrington was, that he was safe, and that he'd always come home to her also did her much good. He danced her onto the balcony. One step, two. He spun her under the bright stars then held her, sweeping her to the bricked corner along the stone railing. Barrington ran a thumb under her chin. "You are very patient to attend these tedious things with me. The Duke of Cheshire hinted at needing my assistance. Perhaps that is no longer the case." A sigh left his full lips, surely kissed with disappointment. "You have nothing to prove to the ton, to anyone." He pushed up his slipping lenses. "I like proving things. I like winning even more. But you must be rewarded. What bauble may I procure? Say a locket for the babe's first curl?" "I want nothing but your love. To know you love all of me." 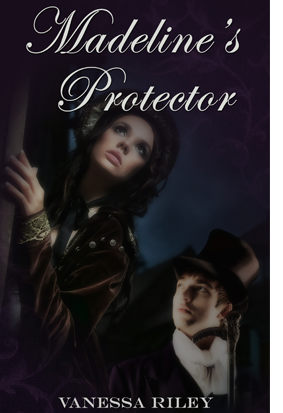 She wedged her hands beneath his tailcoat and roamed the solid muscles of his back. This moment was not a dream, not a waking vision. Things had finally meshed. After his baby was born, their marriage would grow strong, strong enough to survive anything, even her secrets. "Do you think it's a boy? I think so. I want to be a good father, a good man like my grandfather." He would be a good one like her own, nothing like his. She peered up, catching Barrington's delighted gaze. "In a little more than a half year, we'll know. But if it is a son, may he grow as tall as you." In the soft light, she made out his grin, heard the music of his chuckles. "I've never complained of your height, or lack thereof. You are the right size for me. I can pick you up in one arm and shelter you. And youve such wondrous raven hair. Is it a gift from your Spanish side or the Egyptian? A gift none the less." They were both of mixed blood. That had to be why they belonged together. And yet it had to be why it was so hard to survive in London. They were different than this place, sunshine and shade. Back in Clanville, where his grandfather and her father ruled, no one dared question their marriage. If only home were an option. Her pulse raced as Barrington's lips anointed her wrist. "What say you, my love?" "Tomàs. Everything good is from Papa." "I'm glad I can see that hue and your violet eyes, two colors to ever worship." "You don't need to see the other colors." She stopped wearing them for him so he wouldn't struggle or get headaches from his blindness to them. "I want you to see me." His mouth claimed hers, but she dared not shut her lids. To awaken away from this pleasure would surely crush what remained of her soul. "Ahh humph." A masculine cough followed. "Barrister Norton, I've found you. The Duke of Cheshire requests a private audience." Barrington smiled broadly and spun letting the cold air separate them. His joy at gaining the duke's notice was palatable, heart-crumbling. "Where is he, young man?" The servant adjusted the collar of his shiny livery. "In the study, sir." Barrington took a step. Then, as if it dawned upon him that he'd be leaving her, he turned and extended his hand. "This will only take a few minutes." She took his arm and allowed him to lead her back to her seat. He kissed her forehead, then disappeared into the crowd. She should be used to this by now, but every time he left, it felt fresh, cutting a little deeper. Someday he wouldn't return. Then the blade would run clean through. The servant behind her coughed. He tried muffling the repeated cough by turning his face into his sleeve. The poor dear thirsted. A dry throat, scorched and sore was almost the worst. Amora lifted a finger, summoning him. When the boy popped near, she pushed her glass of water towards him. Flipping her fan, she covered him from the glare of onlookers, then slid the goblet into the servant's hands. "I insist. It's never good to be in want." A smile bloomed beneath brightening blue eyes and blonde lashes. He downed the liquid. "Thank you, ma'am. Please dont tell." Amora nodded. The one thing she'd learned well was keeping secrets.